If I had to summarize the current market environment, it would be uncertainty. Sure, the benchmark Dow Jones Industrial Average is off to a hot start this year. However, we could say the same thing last year. As it stands, the best stocks to invest in are often recession-resistant. Obviously, the biggest concern that most Americans have is the government shutdown. Due to an extremely frustrating Washington gridlock, the impasse has no end in sight. At the moment, it appears the State of the Union address will be postponed after President Donald Trump threatened to host an “alternative” event. No matter where you stand on the political issue, we can agree on this much: it’s a treacherous time to invest in the markets. Even the best stocks will suffer should the shutdown last two months or longer. It’s not just about the gridlock. Heading towards the 2020 election, our nation will likely become dangerously divided. In other words, we should expect many more government shutdowns in the future. Given the immediate controversy, we forget that we have geopolitical concerns. The China trade war weighs heavily on our economy. So too do rising tensions in the Middle East and a militarily aggressive Russia. Still, one trader’s bear is another one’s bull. Although difficult to navigate, the best stocks to invest in may potentially advantage the current negativity. Moreover, the broader selloff that transpired since last October presents us with discounted opportunities. Last year, Procter & Gamble (NYSE:PG) represented an easy choice. When investors get jittery over deteriorating economic conditions, go secular. As such, few options are better than PG stock. The underlying company produces essential home goods that you can’t put off indefinitely. Turns out, the same thesis that worked in 2018 is moving the needle in 2019. On a year-to-date basis, PG stock is up 3%. This is mostly due to a favorable result for the company’s second-quarter earnings report. Procter & Gamble delivered a convincing beat on both the top and bottom line. Particularly impressive was how the iconic firm got there. Raising prices due to higher commodity and transportation costs had no net-negative impact. Instead, multiple segments, such as its healthcare division, experienced strong organic growth. When in doubt, PG usually represents one of the best stocks to invest in. But it’s good to know that current fundamentals justify the enthusiasm. Like Procter & Gamble, Home Depot (NYSE:HD) typically is one of the best stocks to buy during periods of uncertainty. While HD stock does its best work when everyone is working, certain functions, like renovations and repairs, cannot be avoided. The company also has another, unexpected benefit: the implosion of a key competitor. As you are undoubtedly aware, Sears (OTCMKTS:SHLDQ) has suffered an ignominious fall from grace. While the bankrupt retailer is barely clinging onto life, the majority of analysts believe it’s too little, too late. However, this sorry situation favors Home Depot, and by logical deduction, HD stock. The primary reason why shoppers tolerated Sears’ existence was their appliances, parts and repairs business. 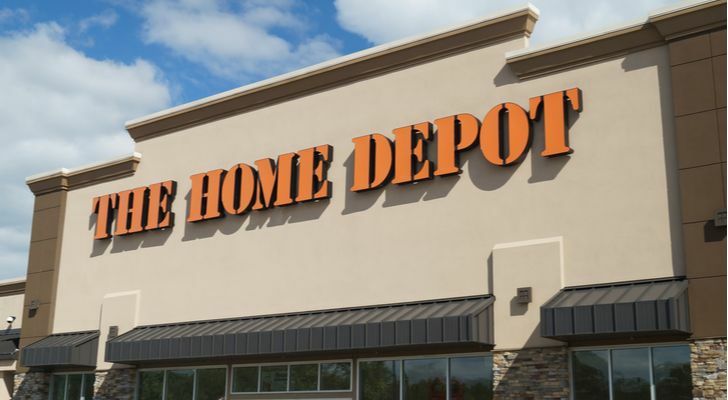 Outside their automobile centers, Home Depot can pick up the additional revenue opportunities. Plus, the October selloff has made HD stock much more attractive. While this may sound cynical, I want to speak honestly but respectfully: the ongoing government shutdown highlights the importance of having secular companies in your portfolio. No matter how you look at it, names like Tyson Foods (NYSE:TSN) are sheltered from the gridlock’s most devastating blows. Obviously, people need to eat. When push comes to shove, food expenditures become a top priority. We’ve heard heartbreaking stories about essential government workers picking up odd jobs to make ends meet. Also, local food pantries face a significant supply constraint. This partially explains why TSN stock has gained significant steam over the trailing month. But the overriding catalyst is that Tyson Foods is a fundamentally sound organization. It has a stable balance sheet, consistently-positive free cash flow, and rising net margins. In addition, its top-line sales are picking back up after recent disappointments. Currently trading at only 10 times forward earnings, TSN stock is undervalued. Usually under a bear market, you don’t fish for the best stocks to invest in within the retail sector. This is especially true during a dubious, record-breaking government shutdown, when personal funds logically shift towards the essentials. That said, I must give VF Corporation (NYSE:VFC) its proper dues. Known for its brands such as Vans and North Face, VF stock jumped on a surprisingly strong Q3 earnings report. Along with a resounding beat on profitability, the company came up big in top-line sales, ringing up $3.91 billion against a $3.75 billion consensus target. Against January’s opener, VFC stock is up over 18%. Understandably, cautious investors may be hesitant about buying into such strength. However, it’s important to note that international sales have performed well despite the China trade war. With such rabid enthusiasm during a tough period, VFC clearly belongs among the best stocks to buy in February. If you’re looking strictly for safety, you can either put money in the bank or stuff it under the mattress. However, if you’re seeking some growth while enjoying reasonable protections, utility companies are among the best stocks to invest in. While several options exist in this sector, National Grid (NYSE:NGG) stands out for a number of reasons. Primarily, we’ve got to talk about that dividend yield. At nearly 6%, NGG stock deserves consideration merely for that payout. Another positive factor is its technical stability. After suffering a tough loss last year, NGG stock is making amends this year. Since the beginning of January, shares are up over 8%. 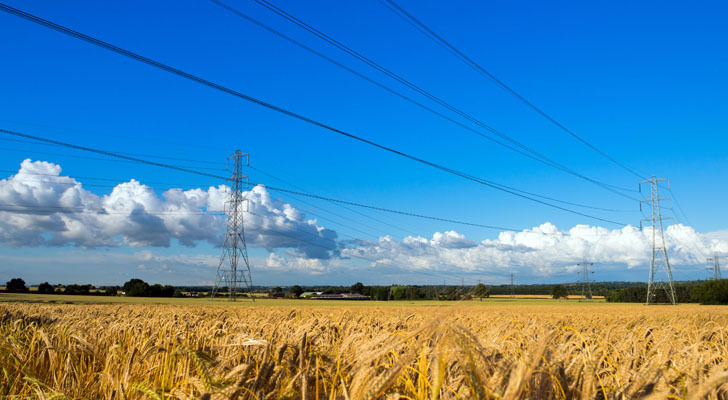 Looking ahead to the rest of 2019, I expect National Grid to build on its momentum. For one thing, people expect the lights to turn on when they flip the switch. Further, NGG, despite its name, features some international exposure with its U.K. business. Despite utility companies representing the best stocks for protection during downturns, they’re not entirely risk-free. Commodity and energy prices have fluctuated significantly over the past several years. Moving forward, they’re vulnerable to sudden changes, which makes investing in “traditional” utility firms sometimes adventurous. For those who want an ideal balance between passive income and future stability, you should consider NextEra Energy Partners (NYSE:NEP). 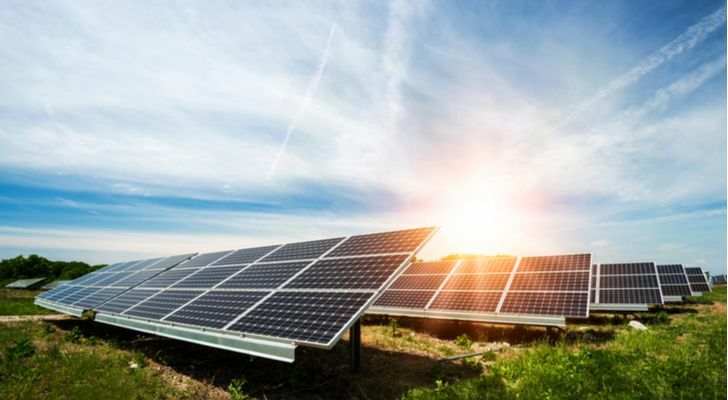 An offshoot of NextEra Energy (NYSE:NEE), NEP stock represents the corporate umbrella’s clean-energy expansion strategies. NEP specializes in wind and solar energy, as well as natural-gas pipelines. While I personally am skeptical about the renewable platform’s economic viability, so far, NEP stock has proven me wrong. Shares managed to return a small profit despite taking a big hit in the last half of 2018. Moreover, NEP’s energy diversity may present a tailwind if oil prices move unfavorably. 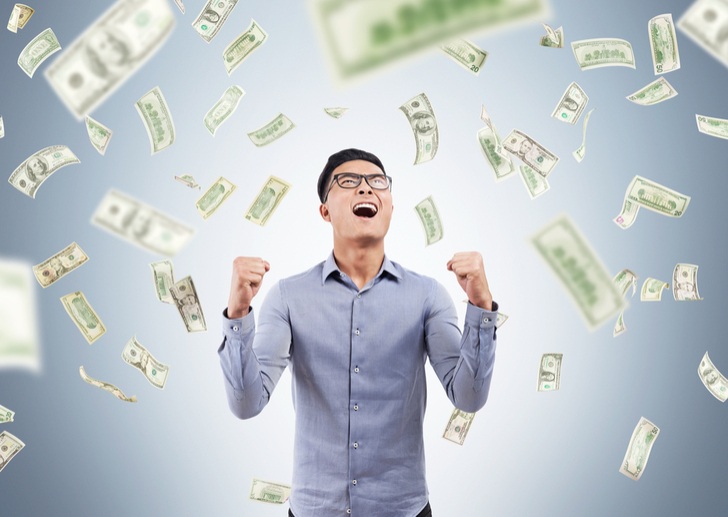 Finally, you can’t ignore the company’s generous 4.3% dividend yield. To my surprise, defense firms were not among the best stocks to invest in last year. In fact, they were among the worst performers. Unfortunately, this was a situation where the headlines levered a substantial disadvantage to companies like Lockheed Martin (NYSE:LMT). After all, why risk your money in the defense industry when President Trump has seemingly forged peace with North Korea? Even more damning for LMT stock, the POTUS and “Dear Leader” will meet again for further talk. Given the right circumstances, we could have a landmark peace deal on our hands. Surely, that would hurt the demand picture for LMT stock. But I believe Wall Street is reading this situation incorrectly. Historically, North Korea has broken multiple promises. I’m sorry but appeasement didn’t work to sate Adolf Hitler. It’s not going to work with Kim Jong-un, either. 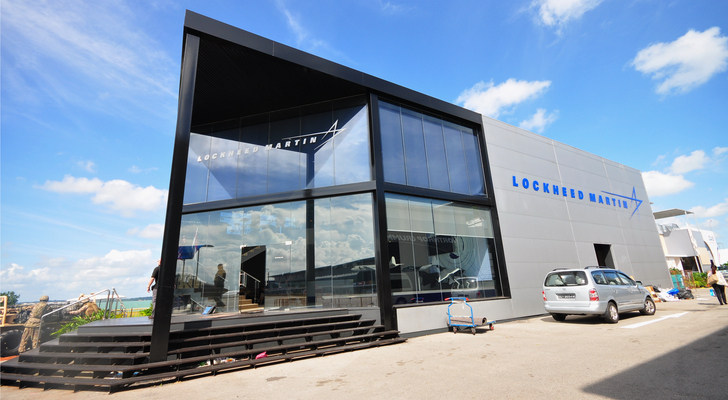 Similar to Lockheed Martin, Raytheon (NYSE:RTN) failed to impress anybody last year. Any hope of salvaging something positive from 2018 fell apart during the October market selloff. That aside, I believe RTN stock has a chance to become one of the best stocks to buy this year. Political insiders believe that due to Trump’s domestic troubles, he will eagerly seek a landmark deal with North Korea. If so, that’s bad news for Raytheon. Fortunately for shareholders, that’s not going to happen. Consider the optics: the president will cut a deal with a murderer, but not with the American people? Even if the shutdown ended right now, the pain that many Americans already endured — particularly the U.S. Coast Guard — makes such negotiations unfathomable. But if the unthinkable happened, RTN stock has a viable revenue story in Japan. Japanese Prime Minister Shinzo Abe worries that his country will be left in the dark during the upcoming talks. With U.S. foreign policy appearing strangely acquiescent lately, Japanese defense forces will eagerly seek the latest military technologies. If you ever considered having some exposure to gold bullion, now seems like an appropriate time. With deep political divisions made worse from the government shutdown, people have rightfully sought stability. 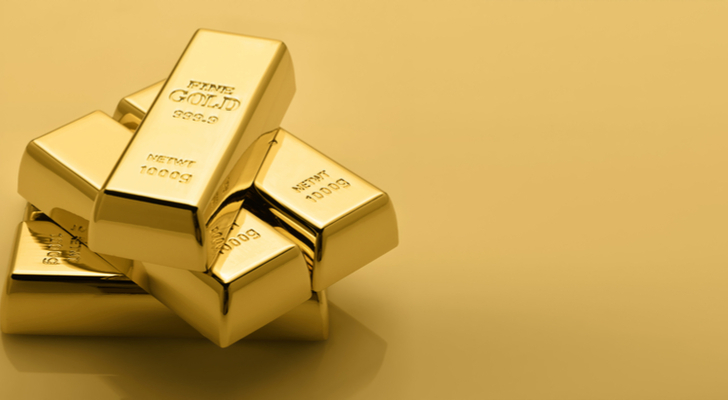 Unlike our elected officials, you can always depend on gold to be worth something. But if you’d rather not deal with the cumbersome nature of precious metals, I’d look into Royal Gold (NASDAQ:RGLD). While the sector is undoubtedly risky, RGLD stock has a few intriguing factors working in its favor. First, I expect the business to improve with rising gold prices. Because we’re still walking on shaky ground with the markets, the idea of precious metals appeals to shrewd investors. Second, many other sector players have witnessed a resurgence in demand. Finally, RGLD stock benefits from comparatively solid financials. After suffering devastating losses in 2015, management has focused on shoring up its books. In recent years, we’ve seen improvements in the balance sheet, free cash flow, and sales growth. Much work remains, but RGLD stock could surprise. As I typically like to do near the end of my galleries, I want to conclude with a speculative name. Mining company North American Palladium (OTCMKTS:PALDF) certainly fits the description. Still, under the right conditions, PALDF stock could surprise market observers. Like the name suggests, North American Palladium specializes in mining palladium, one of the platinum-group metals. Due to its unique composition, palladium enjoys robust industrial demand. In addition, the metal doesn’t have many alternatives. Platinum has similar characteristics but it’s also very expensive. But what makes PALDF one of the best stocks in the high-risk, high-reward segment is rarity. Very few miners in North America focus on palladium. Currently, only two countries feed most of the world’s demand for the metal: Russia and South Africa. Both countries are politically corrupt, which makes dealing with them difficult. Further, our foreign policy has increasingly butted heads with the Kremlin. This supply-demand dynamic makes an intriguing speculative case for PALDF stock. 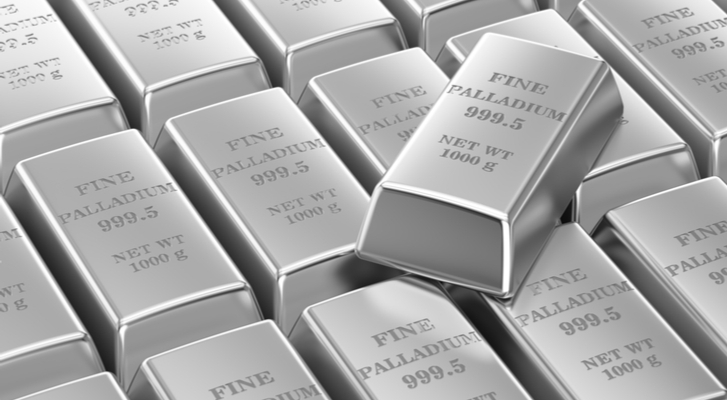 As an alternative, you can also buy palladium bars or rounds. As of this writing, Josh Enomoto is long gold, platinum and palladium bullion. Article printed from InvestorPlace Media, https://investorplace.com/2019/01/10-best-stocks-to-invest-in-for-february/.